When I was little, the very best house-bound days were those when my brother and I built a cubby. The cubby building involved every blanket and quilt in the house and pushing all of the lounge room furniture together. Of course my mum didn’t share our enthusiasm for this game, I suspect because she was left with the tidy-up – nevertheless, she never said no to the blanket-cubby. 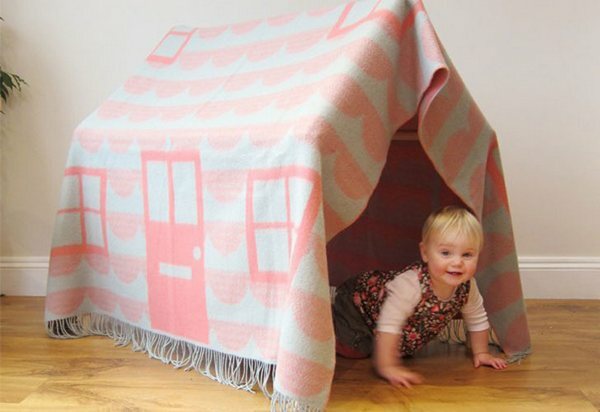 And who could say no to this particular blanket cubby? 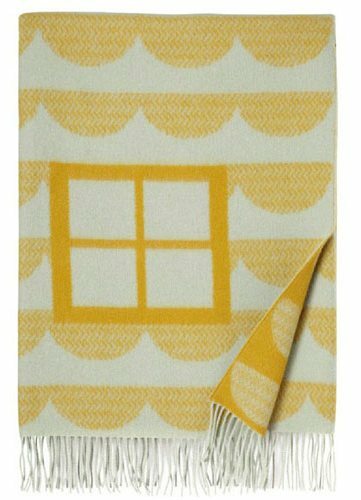 British designer Donna Wilson’s House Throw Play Den blanket is woven with strategically placed ‘windows’ and ‘doors’ to depict a house. When it’s not being used as a cubby, the pure lambswool blanket is equally lovely on a bed. 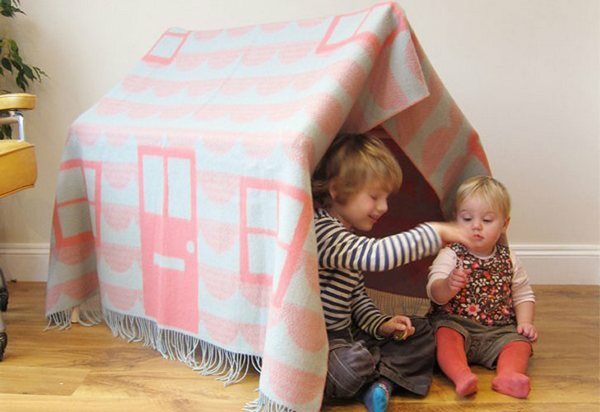 The House Throw Play Den blanket is available in green, yellow or pink for £195. 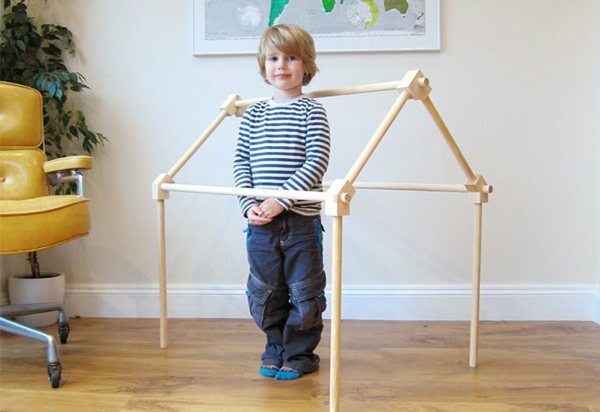 Also available is a wooden frame for you to drape the blanket over – a good idea if you want your furniture to stay put! The full set is £240 from Donna Wilson, with international shipping available.